I am a big fan of seeing creative people using food as an art media and this time I chanced upon Norwegian artist Ida Skivenes food art creations. She has started since June 2012 and her creations ranges from everyday events, cartoon characters to famous art pieces. 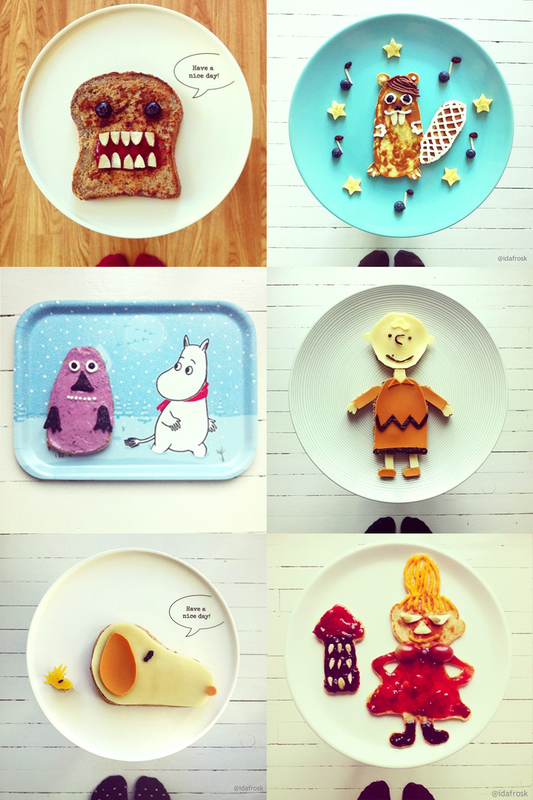 Visit Skivenes's instagram gallery or facebook if can't get enough of her art on toast and other food art and a couple of her food art photos are also available for sale on instacanvas.